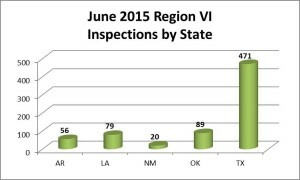 OSHA‚ Region VI, which encompasses Texas, Oklahoma, Arkansas, Louisiana, and New Mexico, conducted approximately 714 inspections last month. 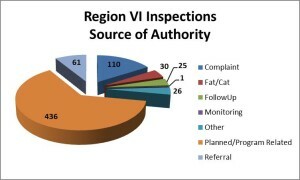 Most of these inspections occurred in Texas. 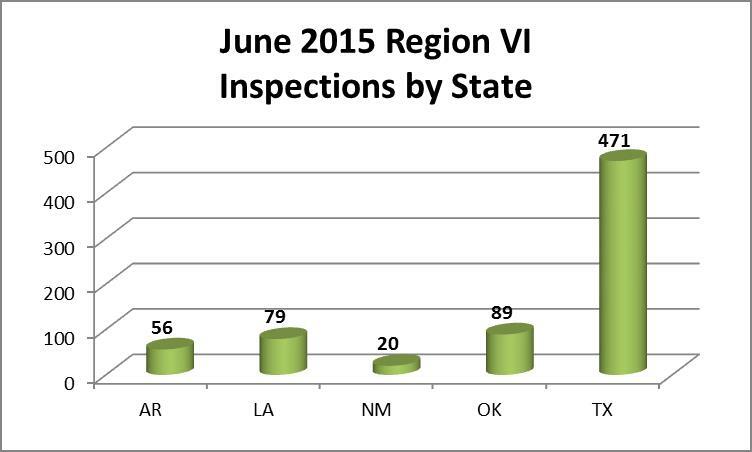 The chart below depicts the continuing trend of Planned/Program Related majority inspections in OSHA‚ Region VI in June 2015.